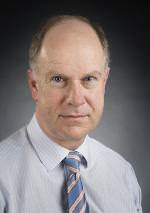 Professor Watson was appointed to the position of Head of the University Department of Surgery, and Head of Gastrointestinal Services at Flinders Medical Centre in 2002. He has clinical interests in the areas of surgery for benign and malignant oesophageal disease, upper gastrointestinal surgery, advanced laparoscopic surgery and interventional endoscopy. He has been active in the development of laparoscopic and endoscopic surgery in Australia, pioneering the development and evaluation of laparoscopic surgery for gastro-oesophageal reflux, oesophageal motility disorders, and oesophageal cancer. Professor Watson has linked this activity to the evaluation and refinement of techniques within prospective randomised clinical trials. He has authored more than 300 refereed research papers and book chapters. Since 1997 he has also received 16 major research grants from NHMRC and NIH, as well as major grant support from other funding bodies. He has recently led Flinders University's engagement with Central South University, in Changsha, China, and in 2014 was appointed an Honorary Professor, and Director of the Flinders Cancer Genetics Research Laboratory, based in Central South University, Changsha, China. In 2015 Professor Watson was elected as a Fellow of the Australian Academy of Health and Medical Sciences (FAHMS), and appointed a Matthew Flinders Distinguished Professor at Flinders University.